Kills fleas and ticks and contains cleansing agents lanolin and special conditioners. 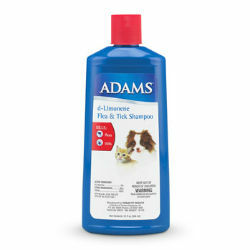 Kills fleas and ticks on dogs, cats, puppies, and kittens. Citrus scent formula. Conditions coat.